Modern Combat 5: Blackout as is clear from the name is the 5th installment in the gaming series of Modern Combat games from developer Gameloft. The game is available for Windows 8 devices to Windows 10 smartphones as well as laptops. You can even play this on iOS and Android smartphones. Delivering beautiful detail rich graphics the game has the same storyline like the COD and Battlefield gaming series of fighting and saving the world from terrorists. However, it provides much better multiplayer gaming experience that you can get with any game on small screens. I would even dare go ahead to take the call of calling it the best FPS game available for now on small screen devices. And the best part of it all that you can start playing it for free! Though the game has been designed keeping in mind small screens but that does not mean that there is any compromise on the quality of graphics or gaming experience when compared with Call of Duty and Battlefield desktop games. This means that your smartphone should have enough processing capability to handle the high quality gameplay graphics (at least more than 512 MB RAM). One big irritant of this game is that it can be played only when you are online, even the single player campaign mode. In fact you would need a good internet connection, 3G or above or WiFi, to play it smoothly. Both Single and Multiplayer modes don't have any ground shattering new feature but have their own uniqueness which will keep your play time refreshing enough. 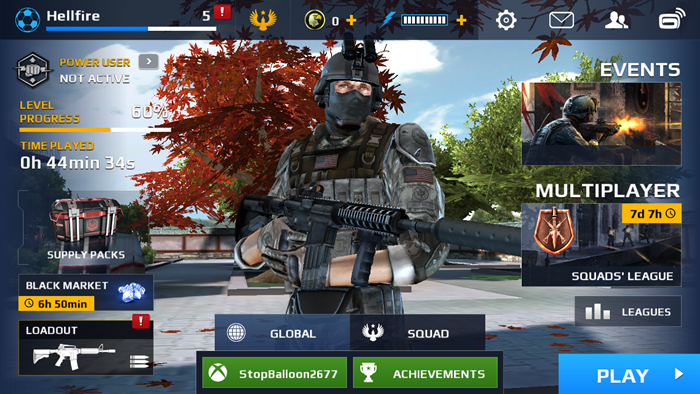 Though in-app purchases are there but you need not go for them to unlock anything - every weapon upgrade, ammunition, secondary weapons, medals, maps, etc. can be unlocked by scoring points and earning XP. There are 4 classes of fighting styles in the game - Assault, Heavy, Recon and Sniper out of which Assault is unlocked from the start itself and the rest will be unlocked as you progress in the game. You can keep customizing the fighting styles by changing primary weapons, secondary weapons as well as other gear. The storyline is related to some Cyber Security attacks which have caused urgent meetings between the world leaders in Tokyo. However, this world meet itself is put into danger by the terrorists wreaking havoc in Tokyo itself. The lead character Caydan Phoenix works for a private security agency which is trying to combat this terrorist group known by the name World Liberation Army. The plots are spread across Venice, Japan and Italy. Each area has 3-4 main locations which are further divided into sub-locations each of which will take you around 5-10 minutes to start and complete - ideal to exterminate the terrorists and clear the location. One major difference I felt between other FPS games and Modern Combat 5: Blackout is that you are quite immune to gunfire and it takes quite a number of bullets for you do die. Also, the recovery time is quite fast and within 3-5 seconds of cover you reach from low XP to full XP. The game being less challenging is something not all games would like. 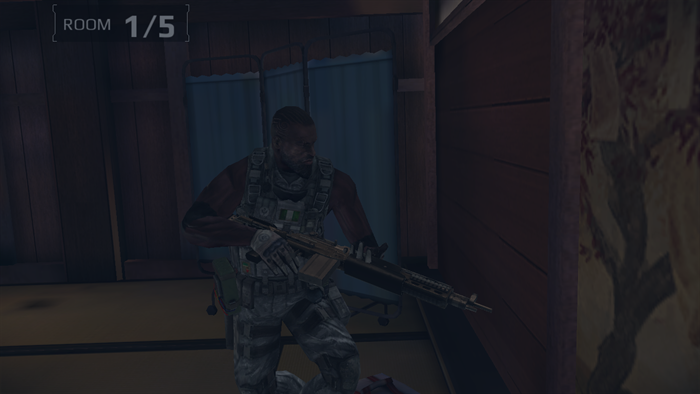 In addition to the map based single player combat missions, there are special-ops too where you have to clear rooms one by one in bullet time or sniper based levels where you have to provide cover to your teammates. Though it is nothing new but still adds more depth to the single player gaming experience. Then there are multiplayer games too which you can player with other players or even with your friends but are important to clear to progress in the game. While it is easy to play with a keyboard on a desktop, like all other FPS games where you have to move around it is difficult to get that much comfort on a touch screen. Corner left controls are for movement and right corner is for firing bullets. However, for view you need to use the mid part of the screen which will be difficult to handle when you are in a firefight and are trying to duck as well as fire. It is a must have game for those who love FPS games like Battlefield and Call of Duty. Coming as free it won't cost you to give it a try at least and trust me you will get highly addicted to the game once you start. However, I would suggest playing it on a desktop or laptop rather than on touch screens because I myself uninstalled the game after once trying it on my Lumia 535. With great graphics, the good old tried and tested storyline of killing terrorists and saving the day is still a formula that works perfectly and if you are one of those who are looking for such a game on your Windows 10 device then this is where your search stops! MC 5 requires atleast 1 GB RAM and not 512 MB in order to play it without lags. I have seen devices with 512 MB RAM and Quad Core processors to suffer unplayable lags while playing MC 5. Thanks for dropping by. And yes, you are right, that is why I have written more than 512MB and not equal.